Bachelor of Science in Physics, Carnegie Mellon University 1968; Master of Arts in Physics, University of Rochester 1969; Ph.D. in Physics, University of Rochester 1973; J.D. (Law), University of Houston 1997; LL.M. 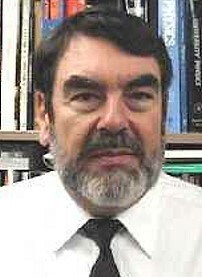 Intellectual Property and Information Law, University of Houston 2001; at the time of his selection assigned at Physics Department, University of Houston, Houston, Texas; semi finalist in NASA astronaut group 8 selection; 1975-1981 Assistant Professor of Physics, University of Houston; 1981-1989 Associate Professor; since 1989 professor at the physics department at the University of Houston; since 1995 Chairperson, Department of Physics.